Being viral is one of the goals of anyone in this digital age. 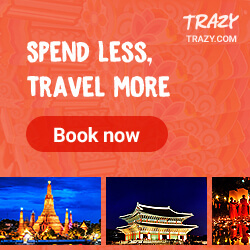 Virality leads to a massive increase in followers and in the case of food establishments, queue for hours. 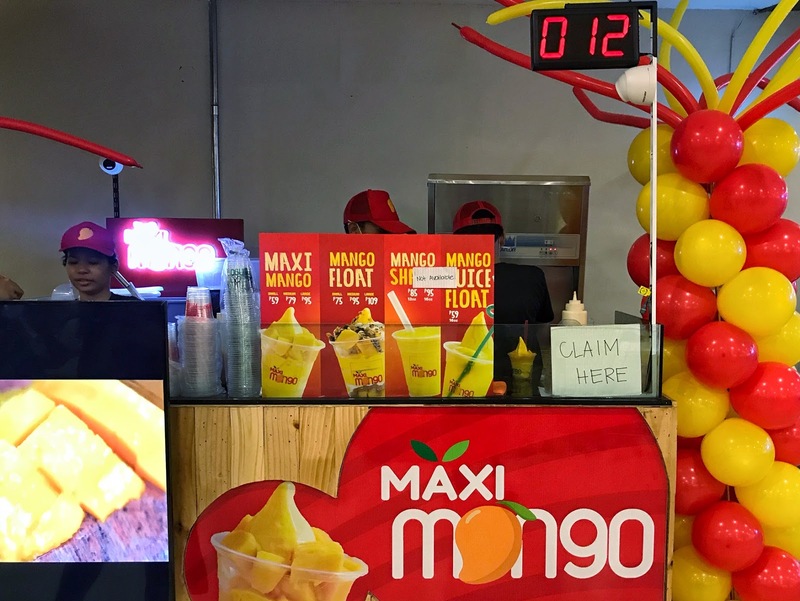 Such was the case for Maxi Mango after it became one of the hottest food items late last year. 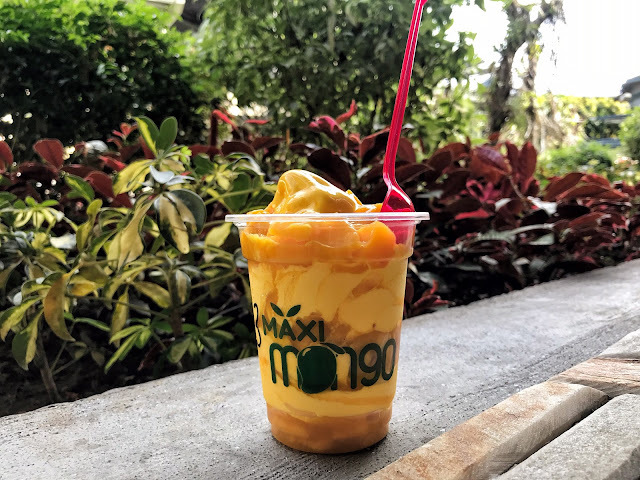 I've first heard of Maxi Mango from the foodie community Let's Eat, Pare. Its posts received a lot of likes and comments that most stay in my feed for days! And seeing its crazy long line at Robinsons Galleria further fueled my curiosity. 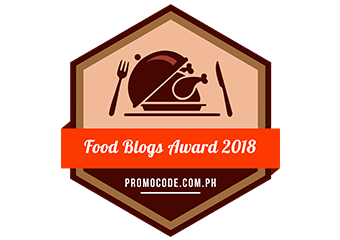 However, I do not have that intense desire to know if its Mango Float is worth the one hour wait. Instead, I waited for the day when Maxi Mango barely has a line. And that day finally happened last week when I dropped by Trinoma. Maxi Mango's kiosk in Trinoma is located at its food court, opposite the side of Yellow Cab. I have to admit, I was surprised that the kiosk barely had customers despite Trinoma being a very busy mall. 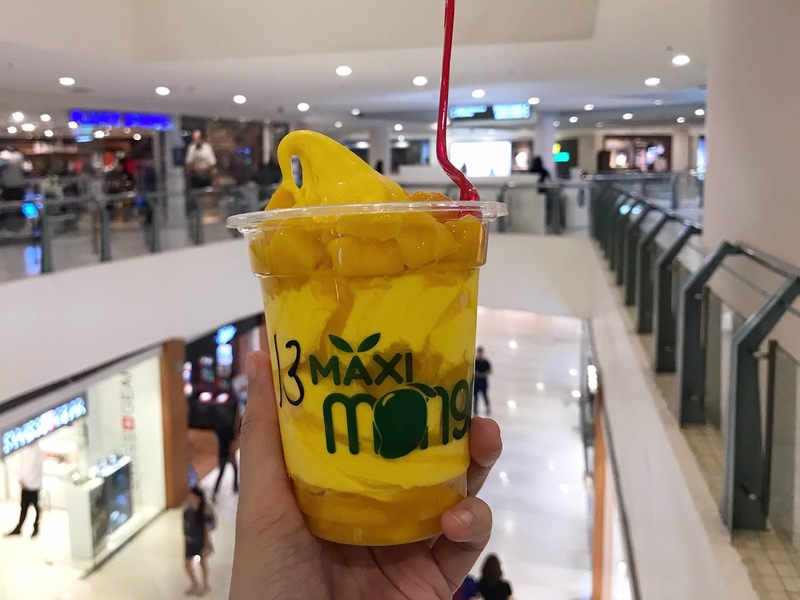 I wanted to get the largest Maxi Mango priced at PHP95 but I was told that they only have medium (PHP79) available that time. Perhaps they ran out? Service was pretty fast as I got my order in less than 10 minutes. 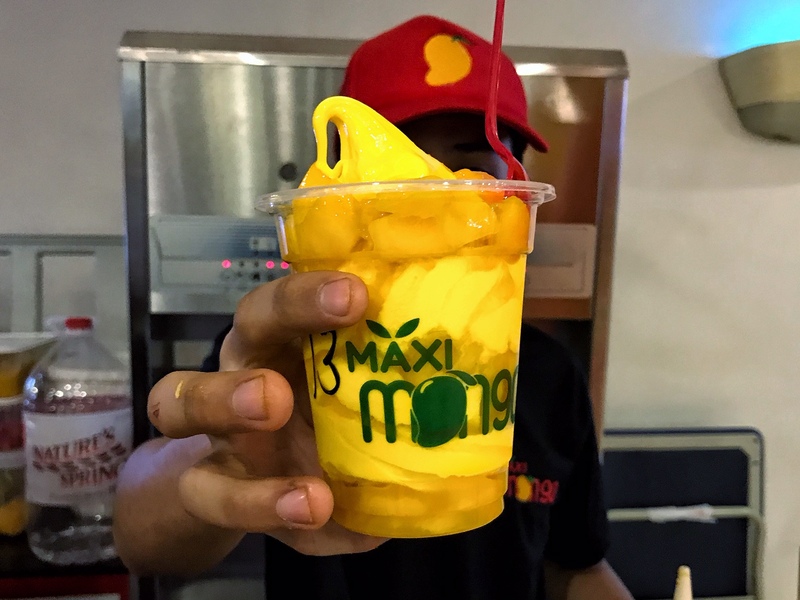 I could finally try the famous Maxi Mango. While finding my way towards the exit, I noticed that the ice cream doesn't melt fast compared to other soft serve ice cream. And it tasted weird. 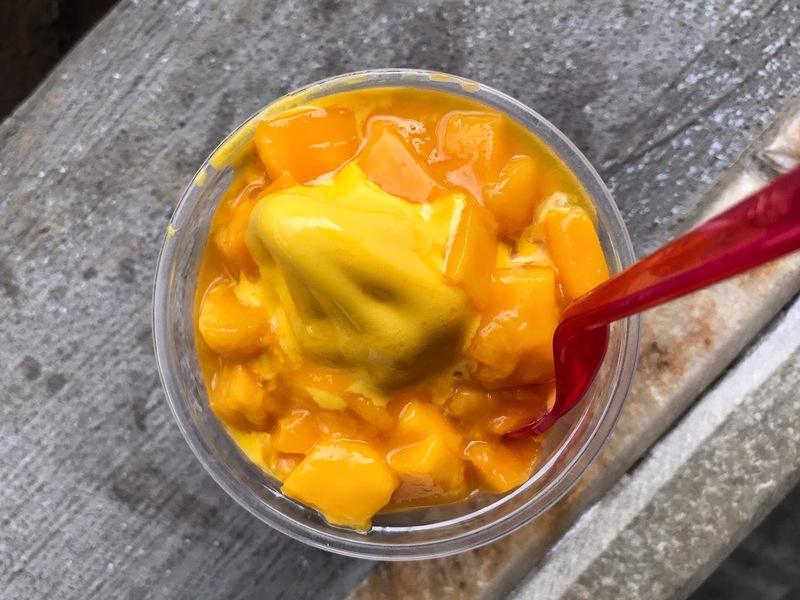 In fact, it tasted more like butter than mango which I found extremely odd. At least the mango bits were sweet. Just make sure to chew it well as some bits from my cup still had mango skin. Sadly, Maxi Mango is not for me. I could barely finish an eighth of the cup. One medium cup is too much for one as it is diabetes waiting to happen. I'm not sure if quality went drastically down or if there really is a market for this kind of dessert. But one thing's for sure, I am not going back for more. Curious? Maxi Mango is located at 2nd Floor, Food Court, Trinoma, Quezon City.